You might know P.E. from her former book Tantalizing illusions; now she's blogging at the Sirenic Codex with her co-blogger Mari, sharing her insightful opinions and diverse taste in books. Today she's here to recommend you The Scorpio Races by Maggie Stiefvater for the summer! 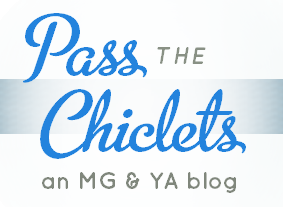 "When you think of summer, you must think of The Scorpio Races by Maggie Stiefvater. Wait, you don't? Well, you should. Although the prototypical summer read is light and breezy The Scorpio Races is dark and atmospheric, The Scorpio Races is definitely a book to read in the summer. Every November, there are races on the remote island of Thisby featuring some incredibly dangerous horses, one of which Sean Kendrick hopes to ride. Sean is a fantastic character who's passionate about racing and his relationship with Puck, a girl trying to keep her family together, is beautiful and well developed. 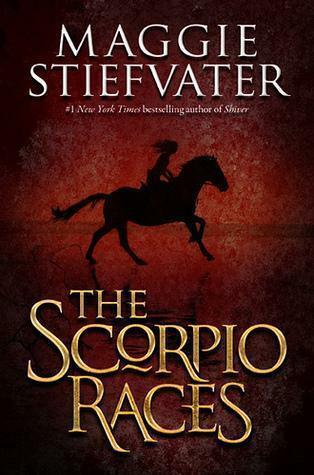 With the expected flowery Stiefvater writing, The Scorpio Races is a resplendent story with raw characters and an incredibly moody atmosphere. The Scorpio Races offers a fascinating world to discover and enjoy, perfect if you're unable to go on a true summer vacation." I really enjoyed The Scorpio Races--as P.E. said, it's gorgeously atmospheric and Stiefvater's writing is something else. Plus, horses! Who can turn them down? :) Let us know if you've read The Scorpio Races and how you felt about it! Will you be picking it up again for the summer?